A great life change lies ahead – you are moving out of your old place to a new one. This is a time of big decisions and one of them is deciding your move out date. We bring you yet another important checklist on top of all other you already have. We bring you top things to take into consideration prior setting your move out date. If you are renting your current home, you have signed a lease agreement that can affect your plans regarding your move out date. For starters, read your lease agreement again and make sure you understand what your landlord requires of you when moving out with the help of a licensed home moving company in London is considered. For example, it is common to send a one month’s notice but some agreements can state that during that time, new renters are allowed to view your apartment. Therefore, to avoid losing your rental deposit or other penalties related to a lease agreement, make sure you reread the agreement and talk to your landlord. If you are selling your current home and buying a new one, deciding your moving date will be a bit tricky. You cannot move out if your new place is not ready for you to move in. This means that the closing date of your new home plays an important role in your moving in. In this case, it is recommended that you talk to your estate agent who will help you set the terms of agreement for the house you are selling and the one you are buying. If you are starting a new job with a fixed starting date, then you are less flexible in terms of your move out date. However, talk to your new boss and ask for understanding. If you have to start your new job on a specific date, then you will have no other choice than to set a move out date according to this situation, even if you don’t get your rental deposit back or regardless of your house sale date. It is no secret that the best time to move to a new home is before the school starts, right? This is because it might be difficult for children to move during the school year and adjust to a new school and a new curriculum. 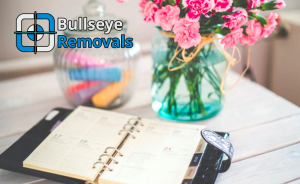 Mid-year removal is also a good idea because it can be done without too much disruption. The smaller the child, the better. Setting your move out date might be complicated if you are renting, selling a current home, have kids and starting a new job. Perhaps the most important factor that will dictate your decision is the one related to starting your new job. However, you will have to assess other complications that date will cause, including breaking a lease or staying elsewhere until your new home is ready. This assessment will help you find the least painful solution when deciding your move out date.